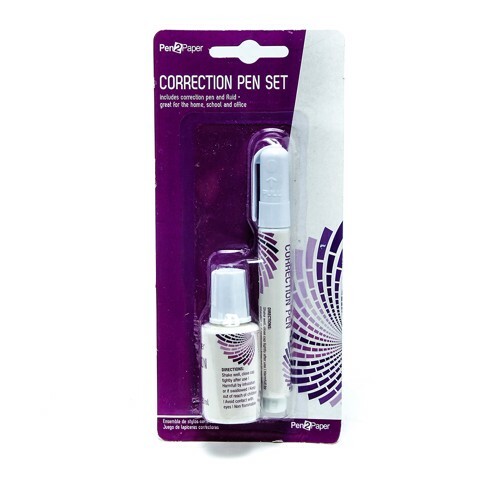 Correction Fluid And Pen Set. Bottle: 7.3cm x 2.7mm l Pen: 13 x 1.4cm Diam. White Fluid Bottle| White Pen. Acrylic Resin | Methylcyclohexane | Titanium Oxide. 48G Packaging: Blister Card.